*UK Mainland (excluding Scottish Highlands - please see 'delivery charges under 'buy' button). 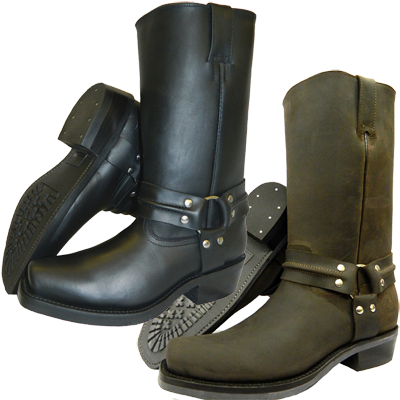 The Renegade Hi boots are a must have addition to any wardrobe, they are made from Premium Leather uppers making them tough and highly durable, with 2 top loop handles (one on each side) making them easy to get on and off. The chrome features (the o-ring and studs) on the wrap around harness also give the Renegade Hi a sophisticated look. They are also built to last with a soft leather lining, and a Goodyear Welted sole designed with maximum comfort in mind.